So what exactly does MiGuard do and how it can help keep our business, homes and family safe? MiGuard is an ecosystem for all your family's safety and security concerns. It's like an everything-you-need-to-be-secured-and-safe-kind-of-package. 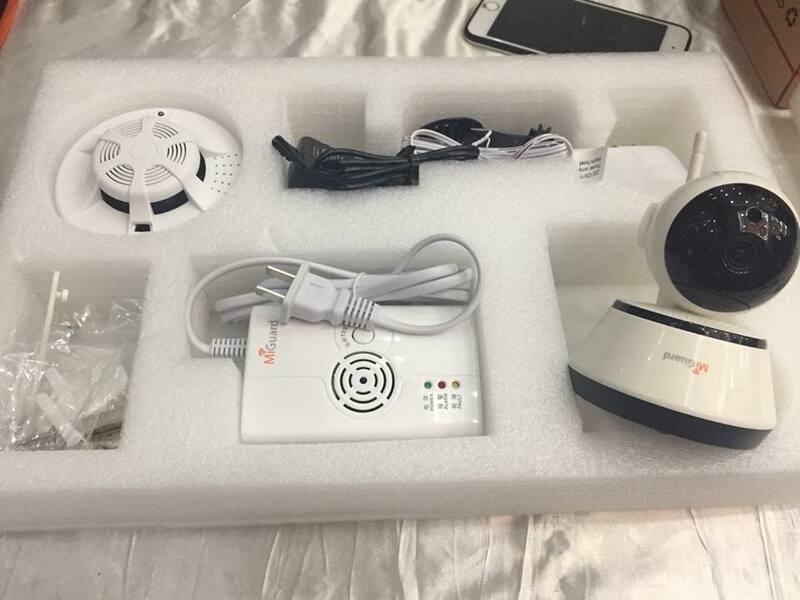 It can start off as a stand alone DIY wireless home alarm system that can be linked to the entire MiGuard ecosystem. 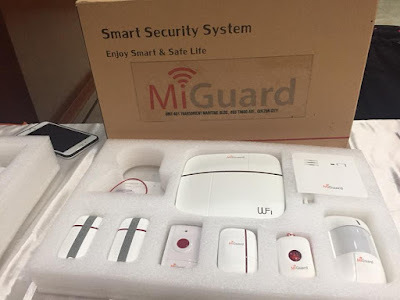 It has different devices for your safety and security needs that all links to the MiGuard application, the MiGuard website, the MiGuard telecommunications network as well as the MiGuard Command Center which is connected to various organizations and institutions which can help you at times when the need arises. To give you exactly more ideas on how MiGuard works, watch this video where Mr. Ryan Basa, VP for Marketing explains its functions. One unit MiGuard WiFi & GSM Console with siren that can control and monitor up to 100 MiGuard devices. You can subscribe to their Command Center Services so they can help you bridge your emergency calls in time of your urgent needs, and to help you monitor your MIGuard Home Alarm System in case you need them to call emergency numbers in your area for you. You can purchase a DIY security system such as MiGuard. A monitored home security system through an alarm company really is the safest, most secure option for protecting your family and home. The monthly fee can be more affordable than you think – less than one dinner out for two – and the added security can save your possessions and lives. Consider it. A home security camera will be a great thing to have because it will essentially keep tabs on people, and help you keep an eye on unwanted visitors and behavior. If getting a dog is not practical for you, then installing an alarm system is a must. 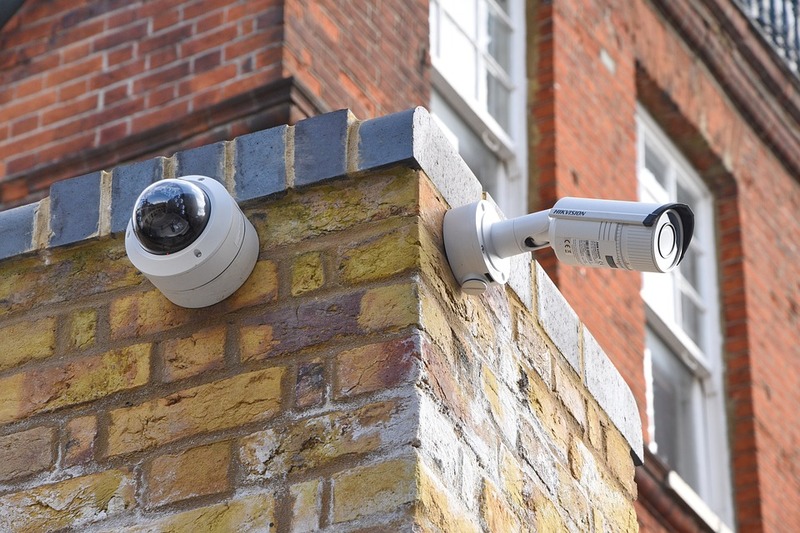 Surveillance cameras and security alarms are now selling fast because more homeowners are installing them in their homes to check unusual activity. You should join the crowd here; install these devices in your home so that you will be aware of an intruder’s presence. Did you know that 34% of intruders enter through the front door and another 22% enter through the backdoor? That’s a startling statistic, but it provides an amazing clue to beefing up our security: Start with your doors. One of the easiest and most cost-effective solutions is to install a deadbolt. Please don’t go with the cheap ones from the local store; instead, invest in a quality deadbolt. And, of course, use your deadbolt at all times – even when you’re home. Experienced burglars like to “case” a home before they ever break in, so they can determine whether your goods are worth the risk. One of the easiest things you can do to make your home burglar-unfriendly is to install curtains or blinds (go cordless if you have young children) – and then use them. If a thief can’t see in, s/he will likely move on to the next potential victim. Lock your doors and windows! (And the garage, too.) This applies also when you’re at home, especially when your guard is down (for example, when you’re sleeping). Even the best locks can’t protect if you don’t use them. One common mistake by homeowners is to fortify only the doors and leave the windows vulnerable. For most burglars who cannot enter through your door, your windows are the next entry points. So, fortify your windows with strong grilles and locks. In conclusion, I believe that with the tips offered in this post, you would be able to protect your home from burglars and other intruders who may attempt to break in whenever you are around or not. 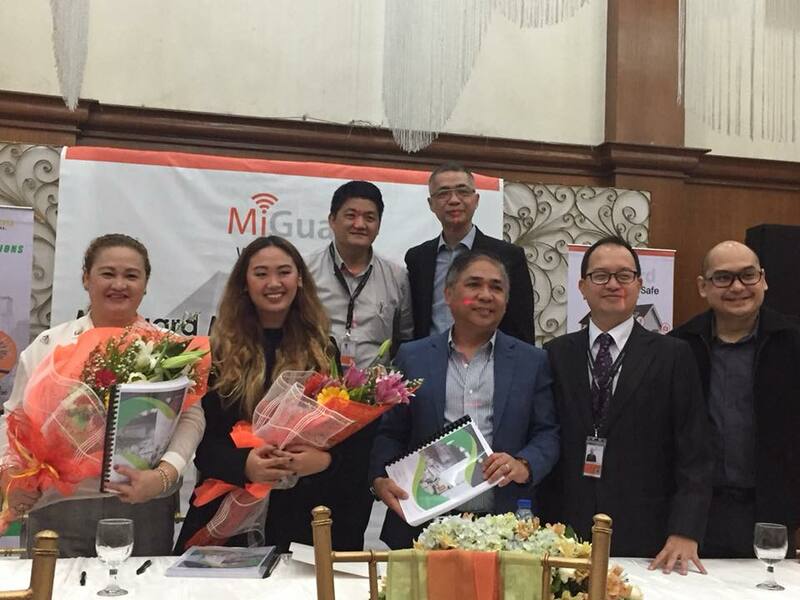 MiGuard Marikina Executives Ms. Osang Chuatak, President Ms. Jubilee Dela Cruz Chuatak,Mr. Noli Fernandez MiGuard President, Mr. Manuel Siquian Jr. and Mr. Ryan Basa, VP for Marketing. Keeping your home safe is a lot easier now than before thanks to advanced technology. For example, remote monitoring cameras allow you to view activity in the home from work, vacation, or virtually anywhere outside of the home, on your phone. Even if you are miles away from home, you can still see in real-time what is going on in your home. Many security systems nowadays also allow you to arm and disarm them remotely. This means that even if you forget to arm the house before you left, you can still do so from your phone. In addition to remote monitoring, smart locks also exist to automatically lock doors once they sense that you have left the home, using bluetooth or GSM on your phone. Home sensors are great for detecting motion. When armed, motion triggers will be sent to your mobile device. This way, you will be immediately notified if someone is trying to break into your house. Of course, the types of technology are endless, but these are a few common ones found in many homes today. How much is a MiGuard basic package? The basic MiGuard package is around P23,000++ while a premium package is priced at around 27,000+++. Plus you need to subscribe for 504 pesos a month. It may sound pretty expensive but when you think about it, it is nothing when compared to the peace of mind and worry-free life it's going to give you. Not to mention, when it comes to your family's safety and security, there's really no price tag to it, right? Besides, you know you'd be getting your money's worth. MiGuard is guaranteed and proven to be reliable when it comes to emergencies. 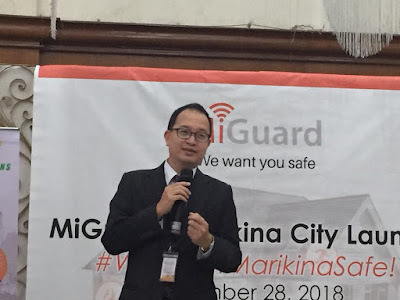 With a vision that every city or town in the country to be safe in times of needs, MiGuard was conceptualized especially in flood-prone areas like Marikina. And get this: aside from the 24/7 hotline, MiGuard replaces the items when they're broken instead of repairing them. And it's a lifetime warranty by the company. So come to think of it, MiGuard isn't that expensive, for where can you find a lifetime warranty that replaces things free of charge and does not simply does repair? And in cases in which you need to replace your batteries, MiGuard sensors come with low battery alert and low connection alert functions too. For more information on MiGuard, please contact JDC CCTV & SECURITY SOLUTIONS at 0923-5317632/0936-2056087 or (02) 990-0081. You may also email: ms.cristaguinod@gmail.com or miguardmarikina.jdc@gmail.com. Visit MiGuard website for further updates on promos.